This guy is my surprise release for this year's toycon, one of the habitants of Innsmouth's deepest ghetto corner, a grown human turned into a fish spawn, wich only skill is to deal with death and rotteness. 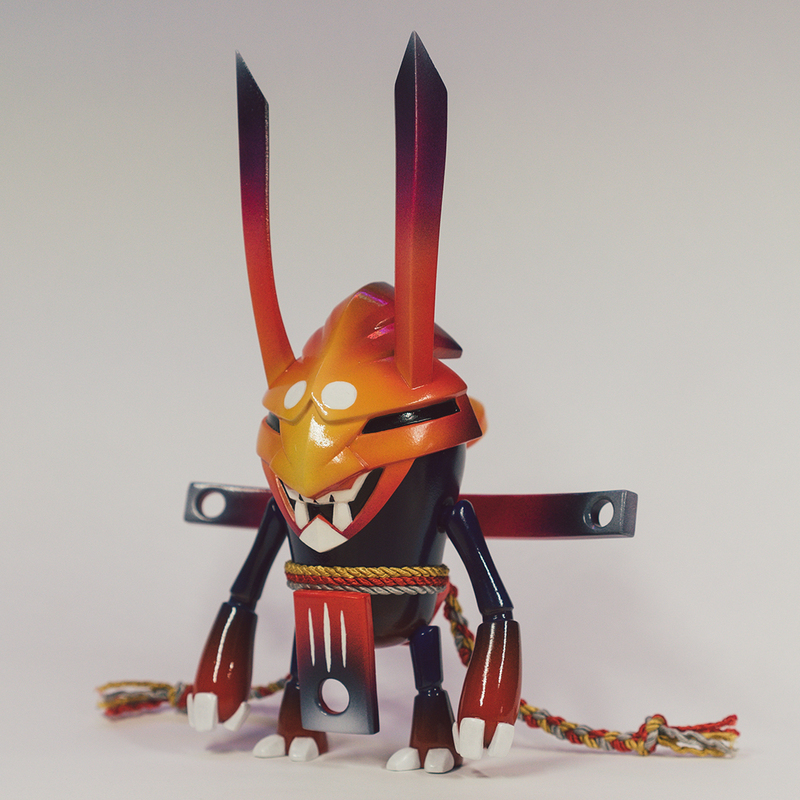 My entry for the BooCustomShow by Martian toys and Angry Hedgehog Toys, a personal homage for old school cyberpunk stories by William Gibson. 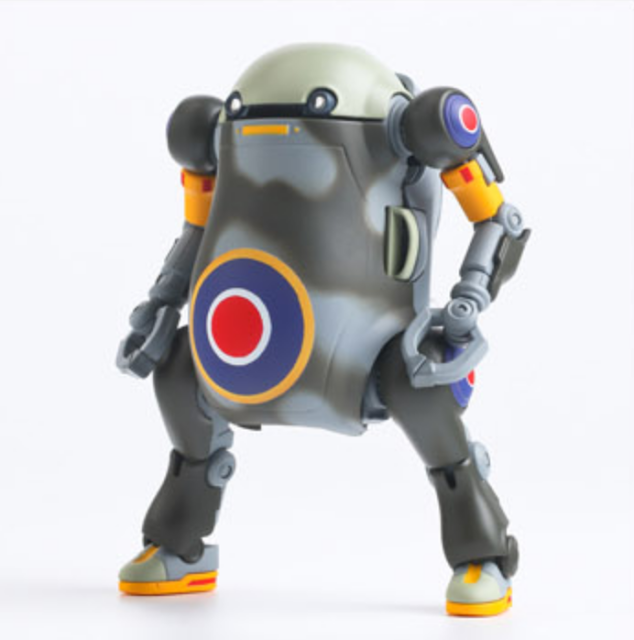 180gbp, Unique piece, will be released at Martian Toys Booth at ToyconUk. 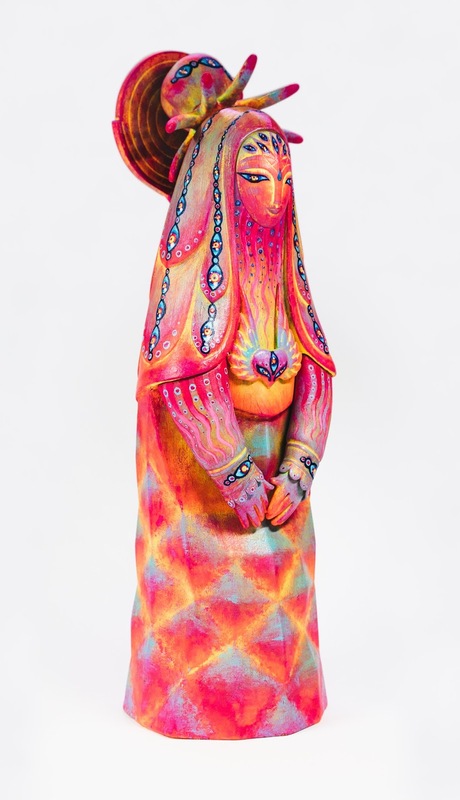 'Sacred Eye' is the painted custom version on the Inuit Goddess by Candie Bolton. 320gbp, unique piece signed by the artist. 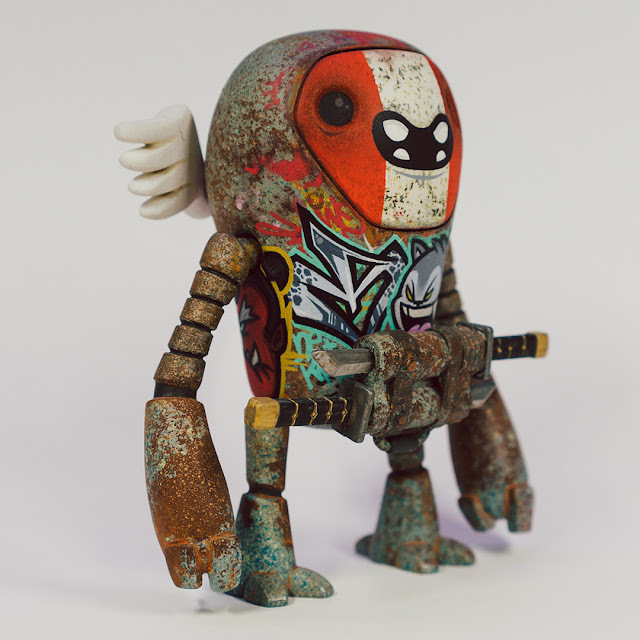 Custom Beanbot by Flüke: an amazing custom build and paint, rust & graffiti covered by the talented spanish(Barcelona based) atist Flüke. 180gbp, unique piece signed by the artist. 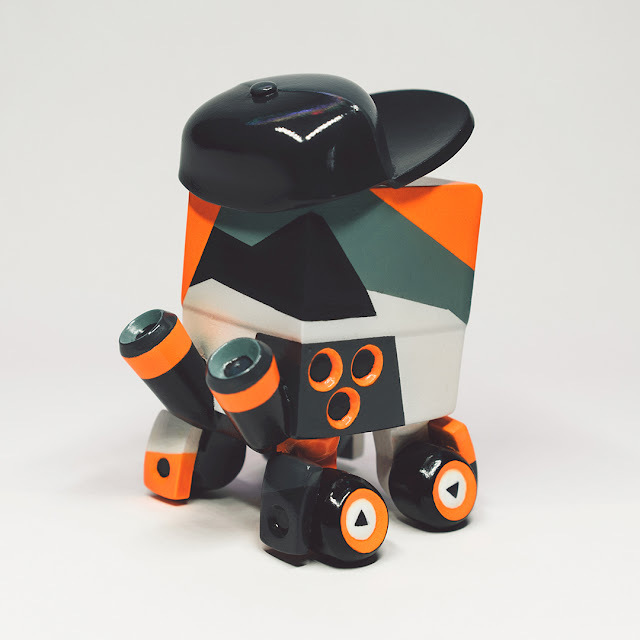 custom build and paint, with tons of hours of work to create an elegant shape really far from what the Beanbot originally was. The Stalker Pollo Stealth custom by Sadgas: custom painted piece with the high tech warfare vibe, to make this guy literally invisible for the target he want to stalk. 70gbp, unique piece signed by the artist. 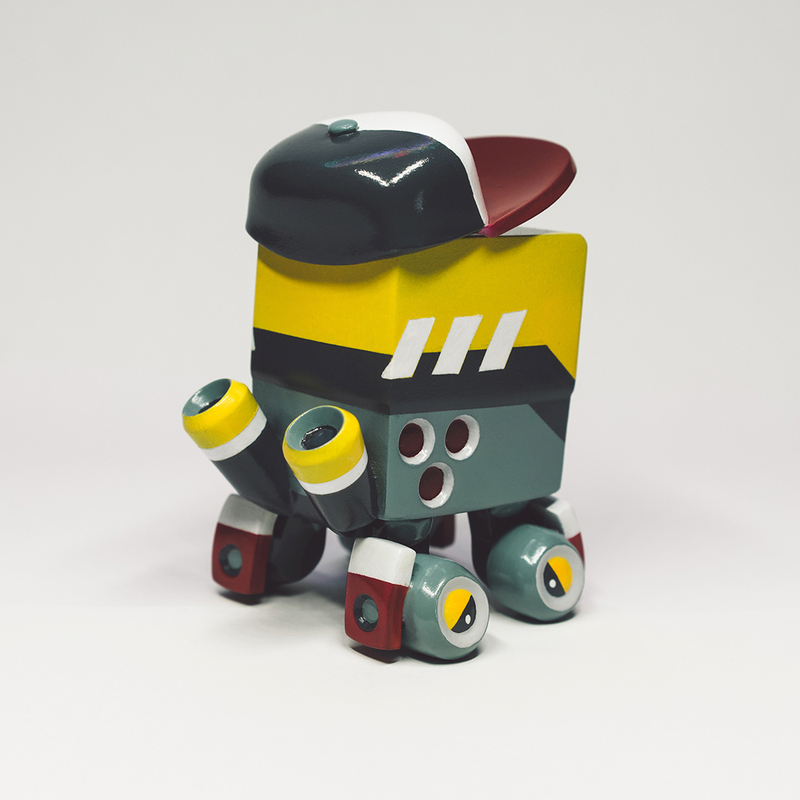 Swaggbot Dropship custom by Sadgas: futuristic and asymmetrical camo on this guy, ready for all tomorrow's battle! 80gbp, unique piece signed by the artist. 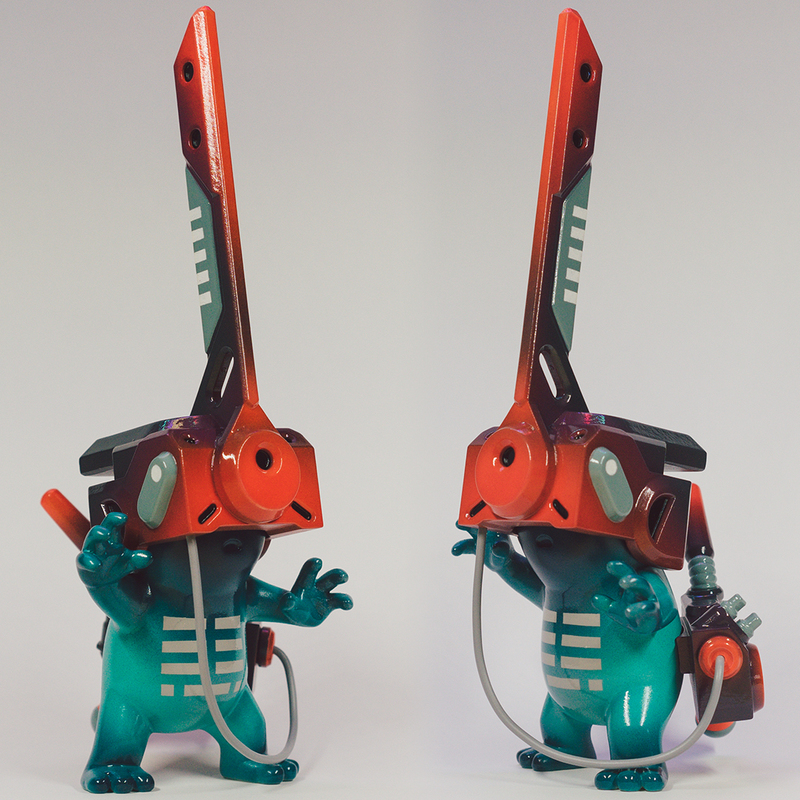 Swaggbot Goteki custom by Sadgas: cyberpunk race is ready to go, inspired by that insanely fast scifi race videogame wich all of us grown, Wipe Out. The Sphynx Maneki Neko Light version and the Mini Sphynx versions, Light and Dark, are the latest limited series from Marcos Lorenzo. 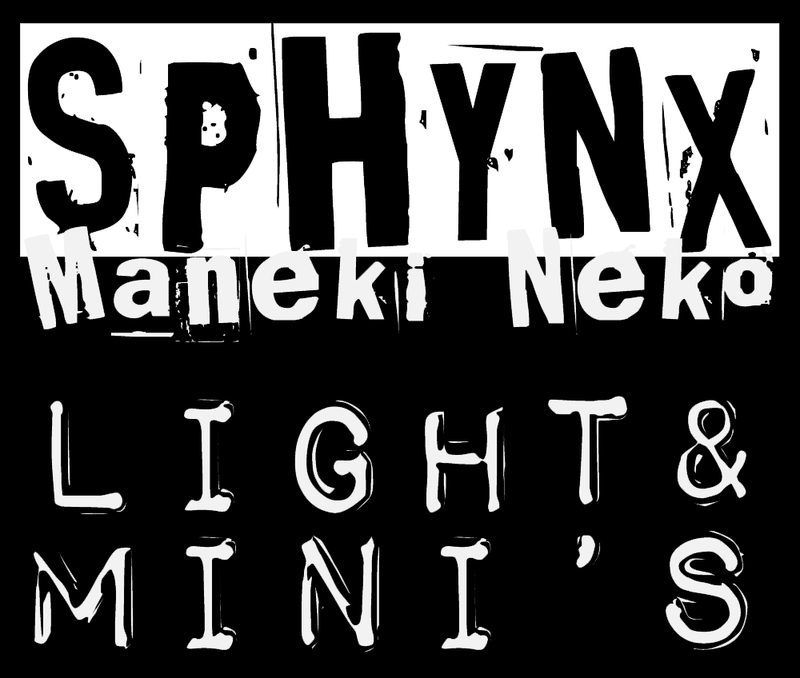 Sphynx Maneki Neko Light version is the same as the original one but in different color skins. Mini versions are scaled versions of the bigger ones but with some little differences: mainly the Maneki Neko has a magnet in its paw that helps it to hold metal stuff like metal bottle caps or so. Another thing is that it’s possible to order any of the Sphynx cats without tattoos. Sphynx Maneki Neko Light is the same size as the original, a limited series of 30 units, homemade handcrafted resin toys, 150mm 5.9 inches high, painted with acrylics, tattooed with transfer techniques and various attached rivets (plastic / metal) studs and spikes. Mini versions are 100mm 4 inches high and similar characteristics, also limited series of 30. 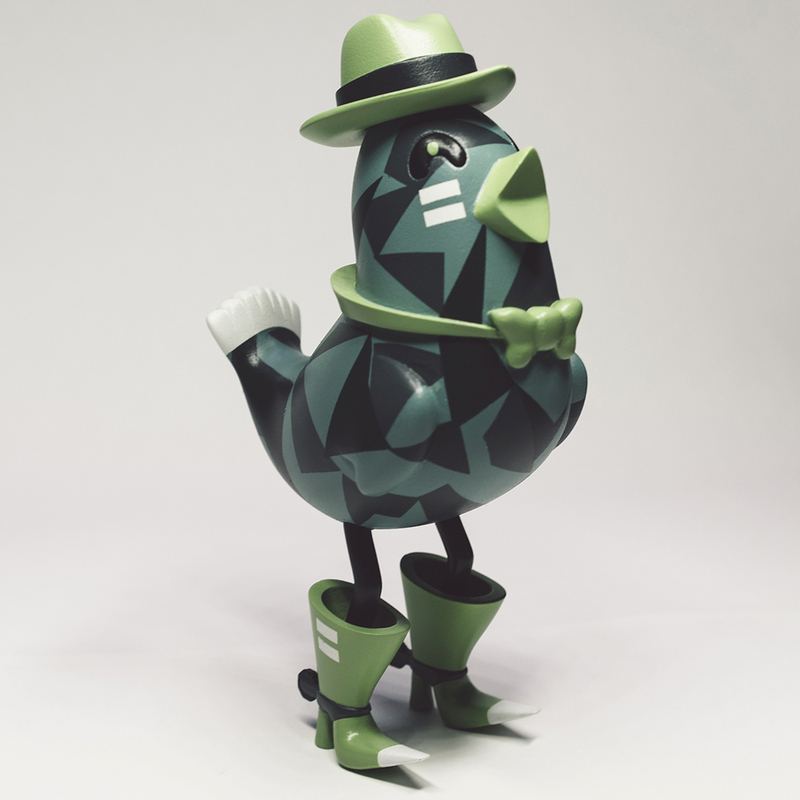 This sculptures are world wide released and available now at the SomeStrangeThings Store at the price of 150€ and 50€. 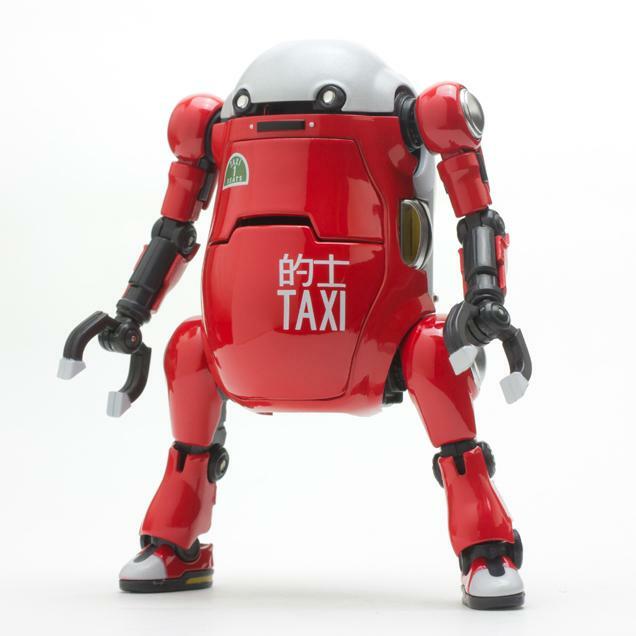 Deliveries are planned in about two months but there will be some copies available at ToyConUK2018. Bigger and better with even more gimmicks! 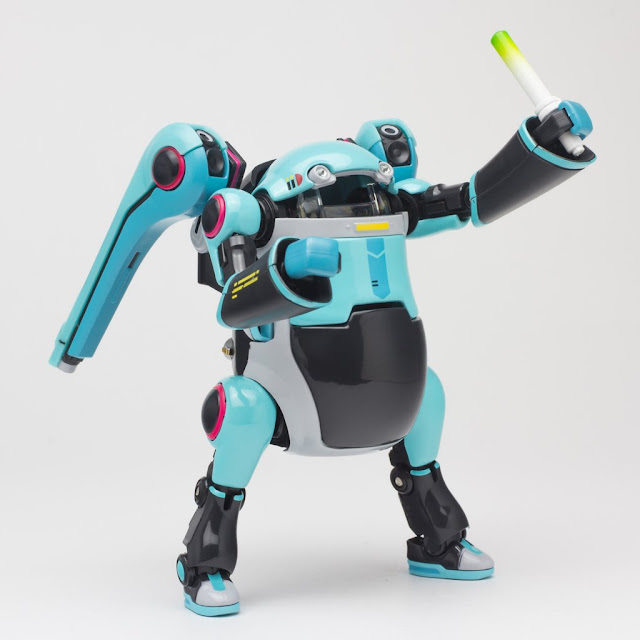 Here comes the 12Mechatro WeGo Mizuiro! 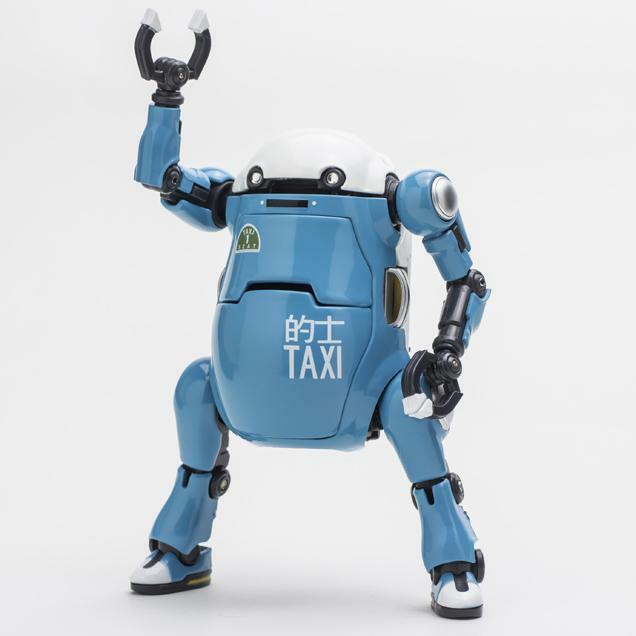 The newest addition to the Mechatro WeGo series would will be the 1/12 scale line. Front hatch will open and allow for the drivers seat located in the chest to be pulled out. 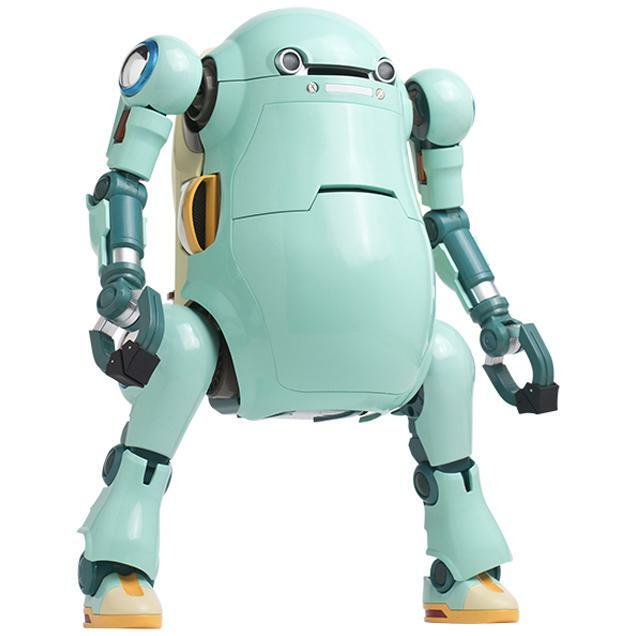 2 sets of hand parts are included. 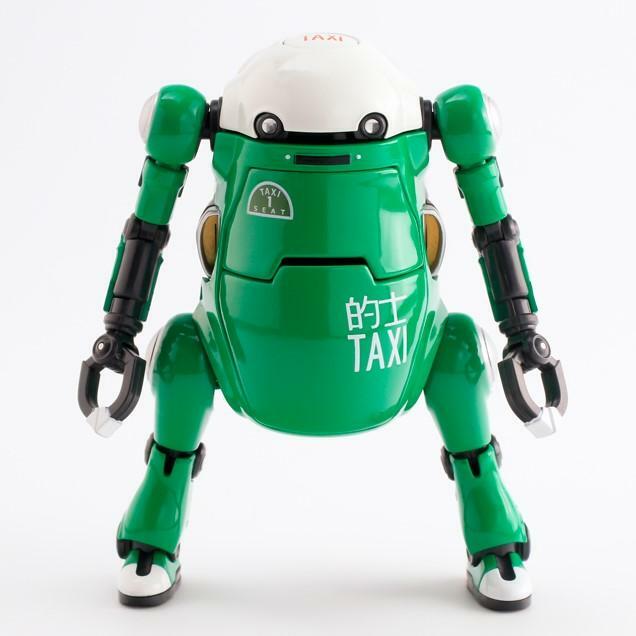 All outer parts are removable and can be mixed and matched with parts from the other types of the 12 Mechatro WeGo series to create your own color version. 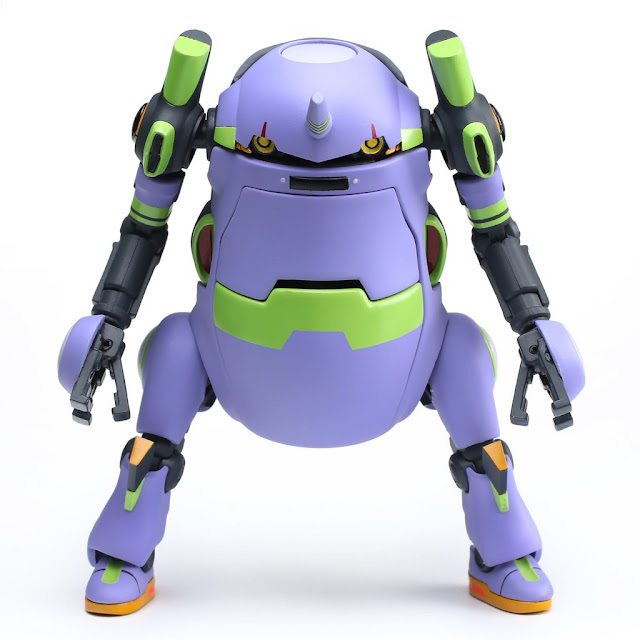 Articulation will be improved compared to the smaller 35WeGo version and the use of Diecast in the legs will allow for it to be posed steadily. Bigger and better with even more gimmicks! 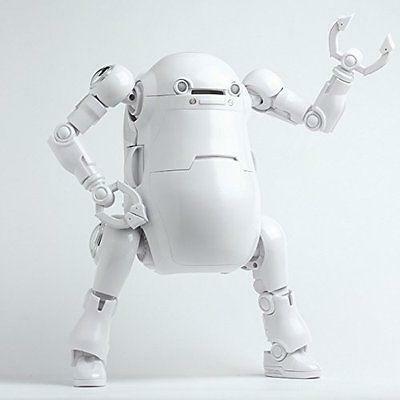 Here comes the 12Mechatro WeGo blank white DIY figure!